The Country Music Cluster, one of the largest AKC Events in the state of TN., runs Thursday March 8 – Sunday March 11, 2018 at the Williamson Co Expo Center. WC DART will be onsite Saturday and Sunday from 10-3 pm, along with the DART/ AKC Reunite Trailer parked at the entryway, so all who enter can admire WC DART’s outstanding Grant from our Local AKC Groups! C’mon out and enjoy the show, say Hello to the Team…It’s a lot of fun and it is a great way to say Thank You to the AKC for the Trailer Grant! The DART AKC Reunite Trailer holds enough equipment to accommodate 100 Companion animals, in a disaster situation! 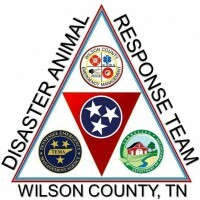 Residents in TN and Wilson Co. can sleep soundly knowing our animals will be well taken care of,in the event of a disaster situation !